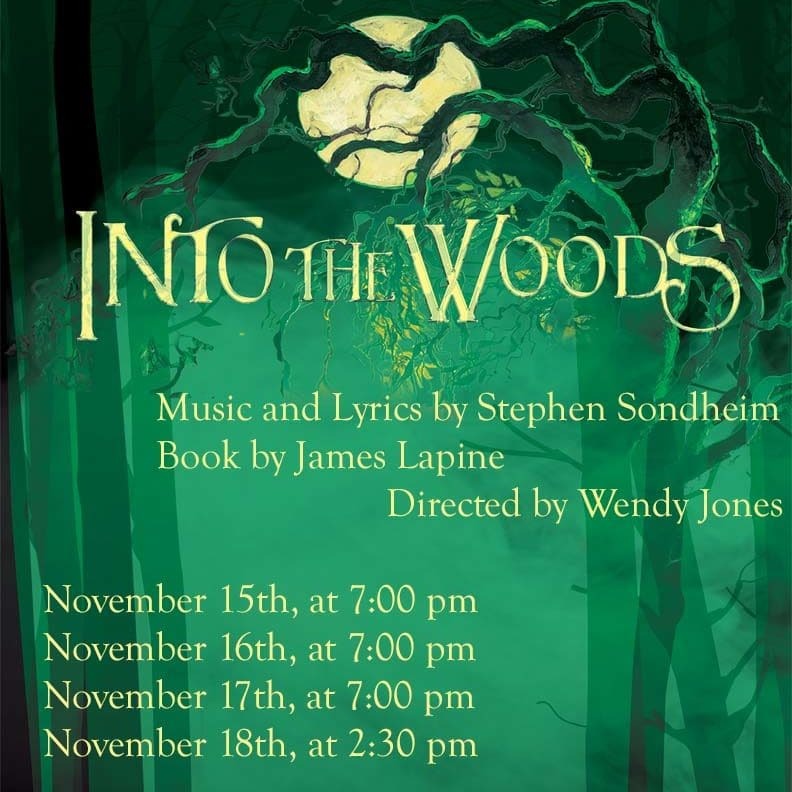 On Thursday, Nov. 15, at 7:00 p.m., Brevard College Theatre will open their second production of the 2018-2019 season with Into the Woods by composer Stephen Sondheim. The show will run in the Dunham Music Building in Ingram Auditorium. Additional performances will be Nov. 16 and 17 at 7:00 p.m., as well as a matinee on Nov. 18 at 2:30 p.m. Adult tickets are $15 and student tickets are $5. Tickets are available for purchase online at etix.com and at the box office an hour before each performance. The cast of Into the Woods includes, Anthony Zuñiga, Katelyn DiDio, Derrick Hill, Lisa Arrona, K’nique Eichelberger, Tally Sugg, Sydney Windham, Claudia Dahlman, Michal Phillips, Kristian Michels, Cody Ingram, Sarah Haga, Mabry Taylor, Natalee Highman, Emma Harris, Rubianne Ely, Kathleen Post, Daniel Ethridge, Kendel James, Faith Alexander, and Hope Jackson. Production support includes Assistant Professor Vance Reese as Musical Director, Assistant Professor Andrea Boccanfuso as the lighting designer, senior Lance Perl as the sound designer, Assistant Professor Justin Mosher as the technical director, senior Hallie Moore as the wigs and makeup designer, and seniors Sarah Haga and Ki’Ara Jordan serve as the publicity team for the musical. Senior Teila Vochatzer is the production stage manager and scenic designer. Other members of the production team include the students of Brevard College Theatre.